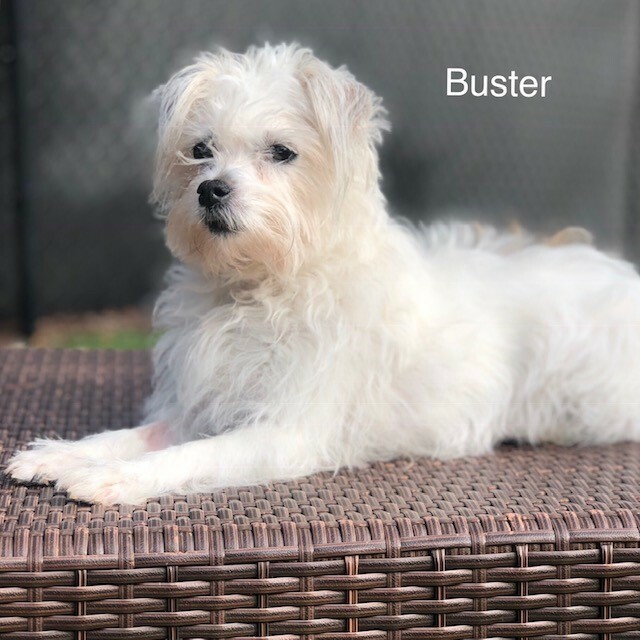 Windswept spikes of white hair frame his elfin face, making Buster, the 7-year-old terrier mix a doggy delight to love and to hold. Having entered our care when his cherished owner passed, this tender hearted 12-pound pup may still be grieving her, but given his sociable nature, he welcomes any and all attention. Laid back and friendly, he divides his time between curling up comfortably indoors and sunbathing satisfyingly outdoors. Now all he needs to fill the hole in his heart is a new loving family with a cozy couch ready and waiting. Everything is rosy with Rosey around! 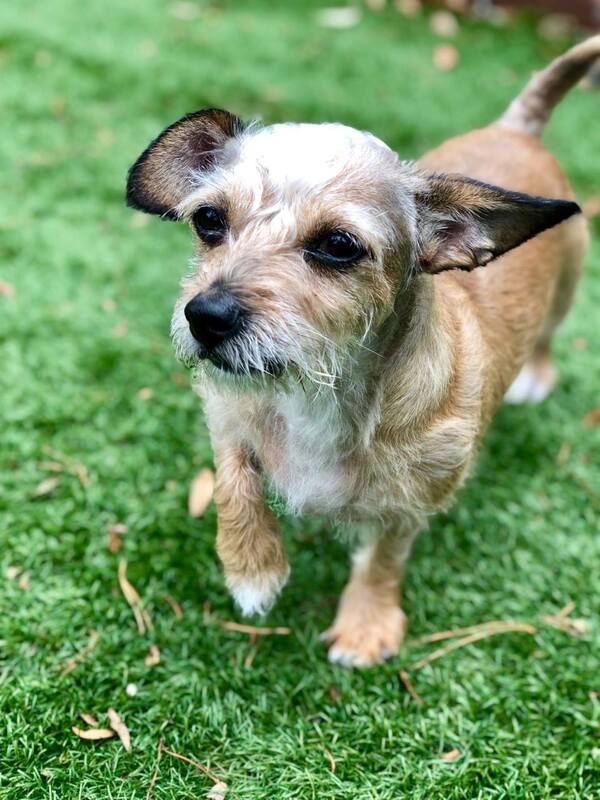 The 2-year-old, 11-pound Chinese Crested/terrier mix, surrendered with her bonded sister Daisy, is ever so sweet and eager to please. 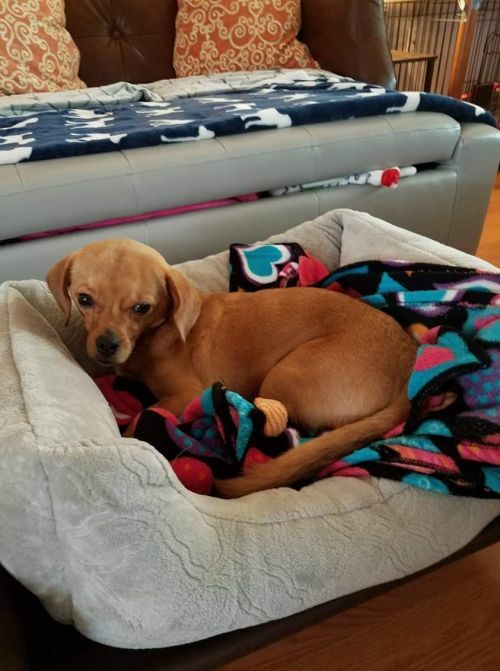 Although initially shy, she loves playing with toys and other dogs, and while her skin may be sensitive, any issues that arise can be controlled through calming baths. 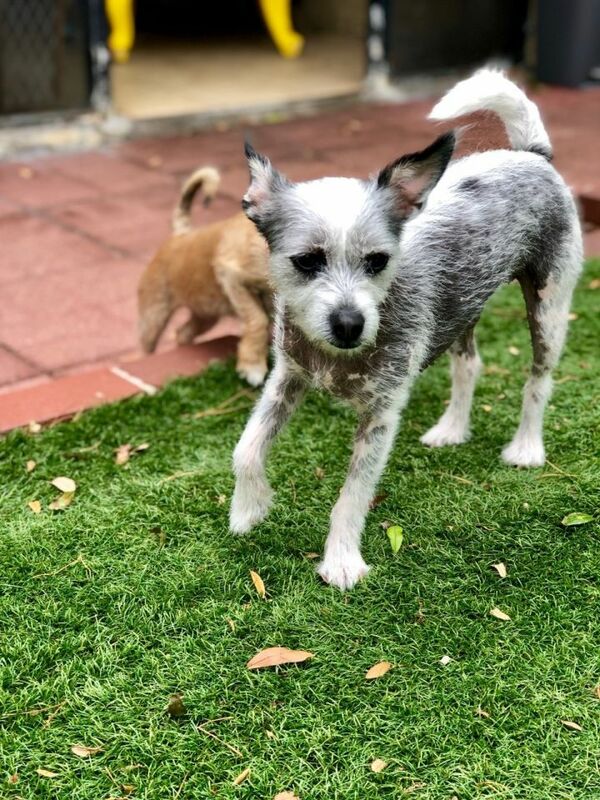 Like Daisy, she gets along well with children and cats, and is ready to spend the rest of her loving life with her sister in an equally loving home.